Before you begin to paint any wood be it interior or exterior you need to prepare the wood first. Safety first, if your house was build before the mid-1960’s you may well have layers of paint containing lead in it, if this is the case take care, always use a mask. 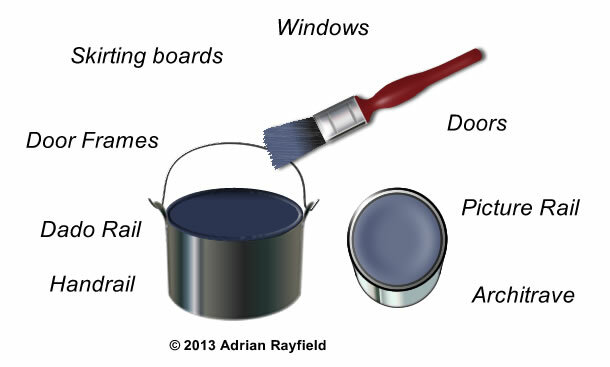 If you suspect you paintwork may contain lead, ask your local paint supplier for a leaflet or go online and download a guide from a paint manufacturer. Most likely it has been painted over now so is less of a problem. If you are stripping the wood back to bare wood, take safety measures. Modern paint does not contain lead. You should always think safety first, apart from the possible lead in paint as mentioned above, you should always wear a mask, you may also wear eye protection and gloves. You should also have good ventilation. It is a good idea to wash dirt and grime off of the woodwork using either warm soapy water or sugar soap. Once you have washed the woodwork down, allow to dry fully. You should then fill any holes and cracks with filler and rub or sand down so it is level and smooth. 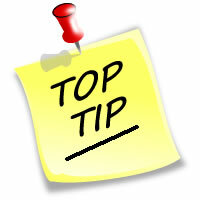 All woodwork should be rubbed down (abraded) to give the paint a ‘key’ to stick too. Rub down all the woodwork surfaces lightly. If the paint flakes off as you rub down, more than likely the paintwork was not prepared well the time before, you may need to remove this layer. Once all the washing, filling and rubbing down has been done, remove all dust, this can be done with an old paint brush or ideally removed via a vacuum cleaner to keep the dust circulating to a minimum. If the wood is to be painted and not stained, you should use a wood primer on any bare wood and filler to seal it, then apply a good coat of undercoat, once this has dried you can give it a light sand to remove any fluff, dirt or grit before top coating. Finally, now you have prepared the wood you can finish it off with either a satinwood or gloss paint. If you are staining the wood, you wouldn’t use a primer or undercoat, just simply stain the wood until you get the finish you require, at least two coats is normal. If you are painting new, previously un-painted wood such a new door, which are widely available in large DIY stores or online from stores, you do not need to wash the wood down. So for un-painted wood, fill and holes and gaps first and rub the filler down so it is level and smooth. Use a knotting solution to seal any knots in the wood. Allow the knotting solution to dry and then use a wood primer to seal the wood. Once the primer has dried, give it a light rub down to remove any debris. Next, undercoat the wood, you could give it two coats of undercoat to give a better coverage but leave to dry and rub down in between. Once you have rubbed the undercoat down you can finish off with a topcoat. If you are staining the wood, fill holes with a wood coloured filler and rub it down flat and smooth, then stain the wood until you get the finish you require.